You will not find a friendlier appliance technician in Mississauga than one of our experienced professionals. 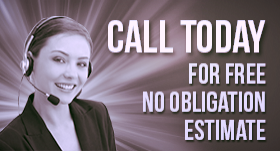 It is very important to us to administer outstanding customer service at a reasonable rate but is also imperative that we provide this service in a friendly and courteous manner. Our highly trained specialists can repair or install any home appliance quickly and efficiently. At Appliance Repairs Mississauga, we can service refrigerators, stoves, dishwashers, washers, and dryers too. 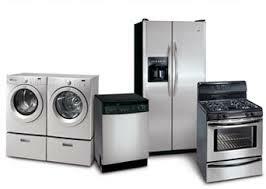 We fix small and large appliances effectively. The appliances in your kitchen play a vital role in the daily operation of meal preparation and sa fe food storage. When one of these units breaks down you need a kitchen appliance technician you can trust. We promise to always be prompt, on time and prepared to work hard until the job is done right. Our technicians use excellent troubleshooting skills to determine problems in a hurry. You can depend on us to offer an outstanding stove, oven, dishwasher, freezer, microwave, and refrigerator repair service. If your washer or dryer stops working, it can throw your entire day out of whack. Trying to wash clothing by hand or hanging them out on the clothesline is time-consuming. Most people simply do not have the time to engage in such activities. At Mississauga Appliance Repairs, we respond quickly and accurately so you do not need to take such drastic measures. We guarantee to find the problem fast and fix it even faster. You can depend on us for all of your washer and dryer home appliance repair needs in Mississauga, Ontario. Every appliance service technician on our crew is committed to administering friendly, professional service on any major residential appliance. We keep our service vehicles stocked with durable replacement parts and offer same day service for your repair needs. Get in touch with us today and let our Mississauga appliance technician provide the impeccable service you deserve.